Live Monitor supports using the speed profiles (driving cycles). A Speed profile is a series of data points representing the speed of a vehicle versus time. Speed profiles help drivers to stay within speed bounds by displaying the speed ahead of time, so he/she can prepare to accelerate or brake when needed. They also help to assess the performance of vehicles in various ways, as for example fuel consumption and total emissions. A speed profile file consists of the following columns. Time, Lower limit, Optimum speed, Upper limit and the prompt. The prompt column is optional. 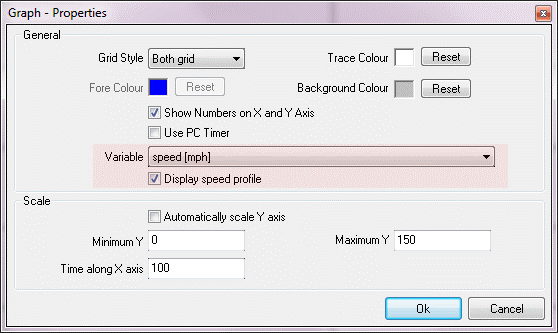 Once the file is loaded, Live monitor displays a summary of the loaded profile with the total duration of the speed profile and the maximum speed. 2. Configure the controls that you want to view the speed profile data. You can also start, restart, or stop the loaded speed profile using a script; two new keywords were added to the Script Editor for this purpose. 4. Start the speed profile using the Speed Profile -> Start Running speed profile menu item. 5. Restarting and Stopping the speed profile can be done using Restart Speed Profile and Stop Running Speed profile menu items respectively. To enable displaying the speed profile data in above mentioned controls, you must select the speed variable and should select the �Display Speed profile� option under the variable drop down box. Angular gauge and Linear gauge Controls Display the current values of minimum and maximum limits as a highlighted area inside the control. 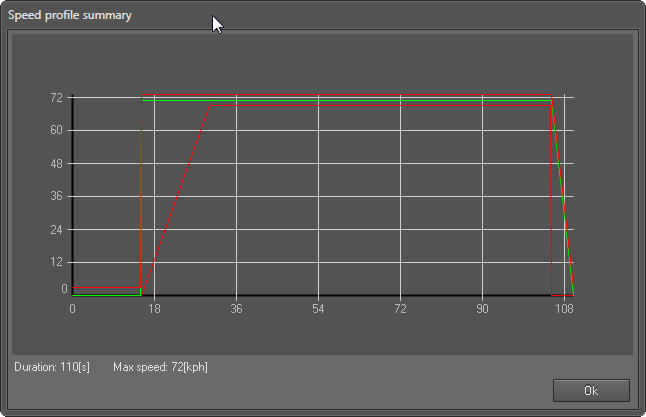 Graph control displays minimum, maximum and target values as well as the actual speed as lines. The target speed is displayed in green and the upper and lower limits are displayed in red. Actual speed is displayed in Blue. 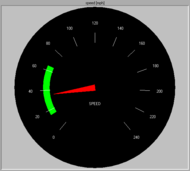 This control displays the both the current values of the speed profile and complete speed profile. When the speed profile is running, prompts in the speed profile will be displayed as a pop up window. When the speed profile is started by the script, prompts in the speed profile are displayed in the command display section at the bottom of the scripted tests pane.